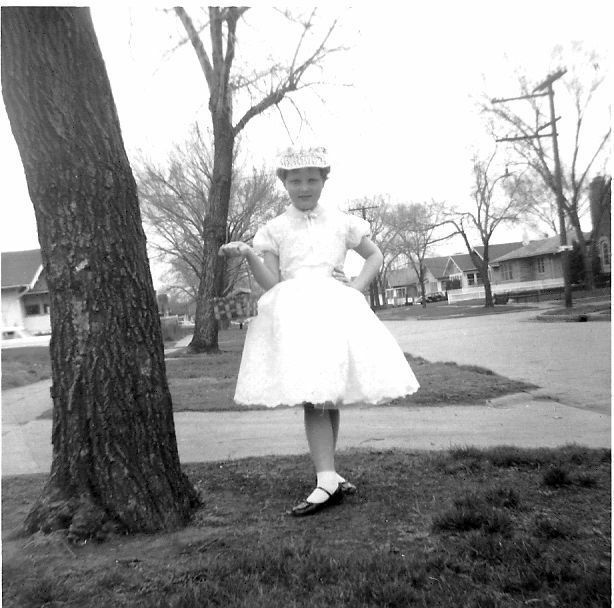 From Nana's Kitchen: Send Us Your Sunday Best! Send Us Your Sunday Best! Your Photo Could Win the Newly Released Cookbook: Sunday Best Dishes: a Cookbook for Passionate Cooks! When the little girl in this black and white photo said “cheese”, it was somewhere in the mid-1950s—a time in American culture and cuisine that inspired me to create a career in food. A capricious 7-year old by 1960, I have so many memories of life in the Ozzy & Harriet days, when taking joy rides in the family car on Sundays worked up a serious appetite. Well I remember that winding road to Grandma’s house after church. Her blueberry pancakes and homemade preserves were next to Godliness. I also recall the baked beans, scalloped potatoes and smoky franks of all those after-game picnics. Getting back to the time and quality people used to devote to dinner time has been the impetus of everything I’ve ever written. I will always be a family-style cook, and my newest cookbook is a culmination of everything I’ve learned and loved in my 30 odd years of cooking for a living. So, it is with GREAT pride (and a sigh of relief after more than a year of hard work) to introduce my sixth book: SUNDAY BEST DISHES: a cookbook for Passionate Cooks. This book is extra special for me because it was the first time I collaborated with my family to publish something. I owe my sons, who worked on this project with me, sooooooo much! My son Jonathan Morgan, a graphic artist and a super-genius, built my book that was once just a 3-ring binder full of recipes, into an interactive e-book with click and tap widgets that show even the most novice home cook how to cook like an Iron Chef. My other son, Chris, click his name to see his incredible photography portfolio, snapped each and every one of the drool-inducing photos that appear in Sunday Best Dishes. Jorj Morgan is the author of several lifestyle enhancement books about entertaining, gourmet cooking and health and wellness. Her projects include serving up, writing about and/or performing before a live audience her kicked up, revved up family style recipes, accompanied by cutting edge hosting tips and employing state of the art gadgets to enrich the entire kitchen experience. First and foremost, Jorj is an extreme party planner. Her passion for parties runs the gamut from entertaining friends at her annual South Florida Christmas party to hosting long (lost) weekends at her summer home in the mountains of North Carolina. From conducting cooking classes, to passing out personal and time-tested recipes, Jorj is a constant source of current and stylish domestic trends that benefit every chef and hostess. Learn more about Jorj, her books, her projects and her cooking classes at Jorj.com. Copyright 2010 From Nana's Kitchen All rights reserved.